Not only do I love my chameleon cold brew coffee (shared a latte recipe here) but I also love the shape of the bottle. 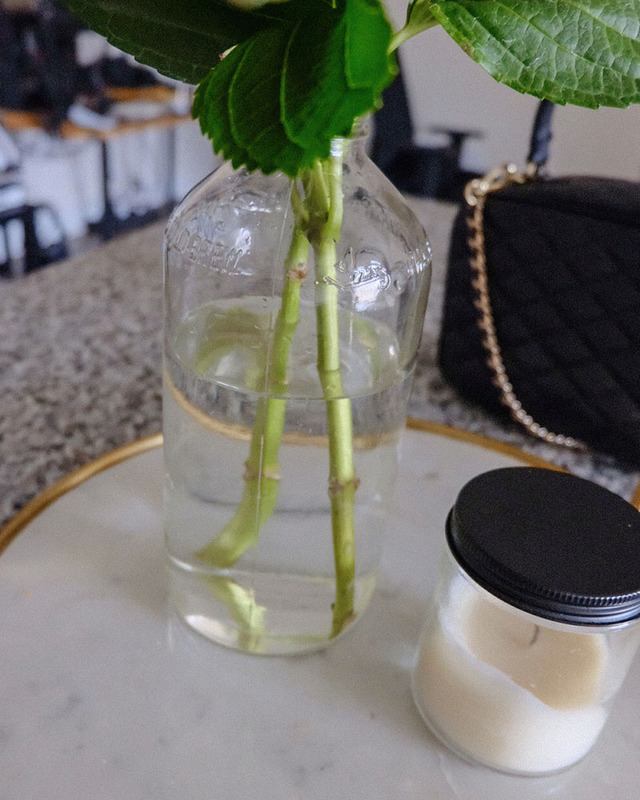 I just moved into my apartment a few months ago and still haven't decorated much so I came up with the genius idea to reuse the bottle to hold flowers. It's perfect for our marble tray on our island and I feel it gives off vintage/farmhouse vibes. All you have to do is make sure to rinse it out really well with hot water and soap then peel off the sticker. The sticker was so easy to take off and left no residue. I'm in love with the finished look and will probably do it to another bottle to have in the bathroom with fake flowers or greenery. What kind of things do you guys like to recycle? 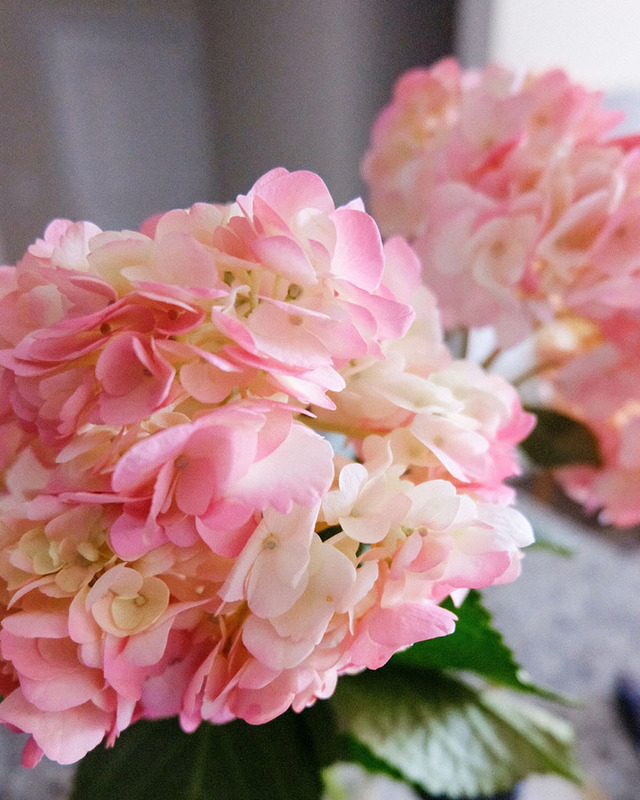 As a little bonus, I want to share a really amazing tip I found for keeping cut hydrangeas from wilting. 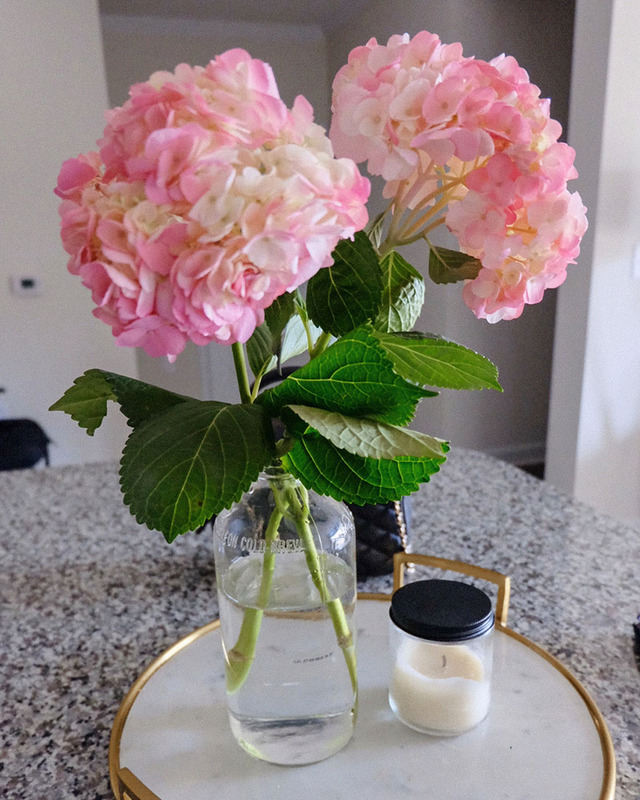 I absolutely love buying fresh flowers every week if I can and my local grocery store always has cut hydrangeas so it's super tempting. The only downside is they're very finicky and will literally wilt an hour after you place them in water. But what I have learned to do is to dip the cut ends into alum powder and then right into my vase and they last for days! If you see that they start to wilt again after a day or two just cut off the end and re-dip it into the alum powder and place back into your vase. So easy and works like a charm! Let me know if you try this.